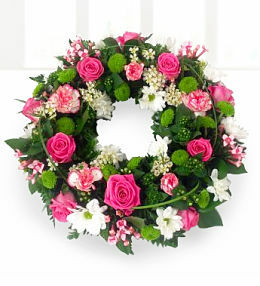 Funeral wreaths are ideal for placing on caskets, as upright funeral arrangements or even as a table arrangement. 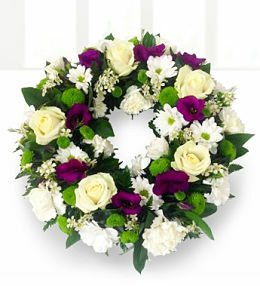 Our wreaths at Prestige Flowers are meticulously arranged by professional florists in order to give your loved one the respect and honour that they deserve. 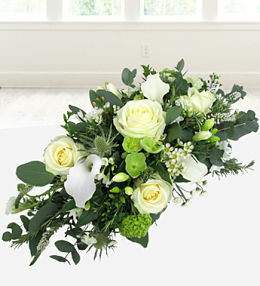 Saying goodbye is never easy but we aim to convey a strong sense of comfort and peace with our funeral flowers. 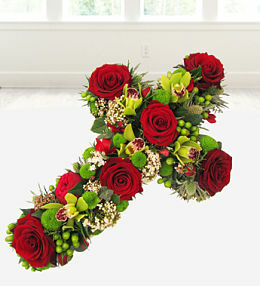 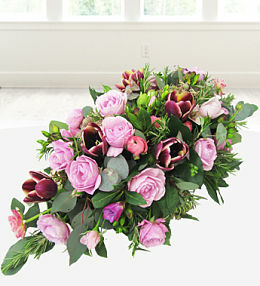 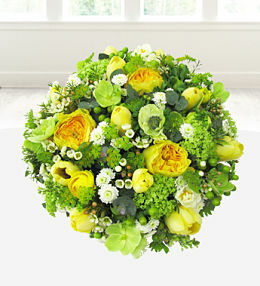 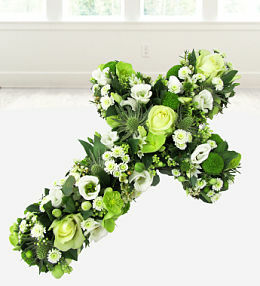 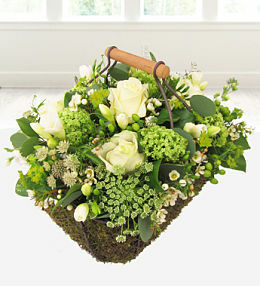 We will also be more than happy to make the flower delivery directly to the funeral home for you. 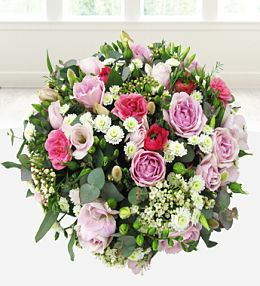 A timeless and stunning sympathy wreath featuring fresh pink roses, Carnations, Eustoma & Chrysanthemums.